Today marks the 20th anniversary of Remedy's first title, Death Rally! 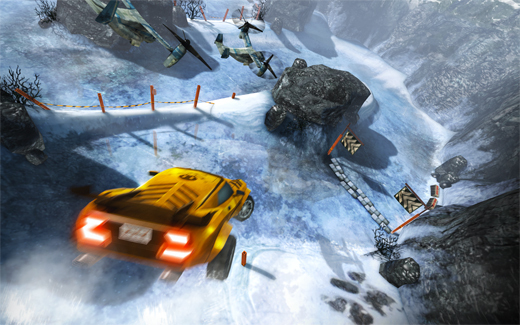 Released in 1996, Death Rally was fundamental in creating Remedy. Its success created enough momentum to encourage the team to move forward and create more ambitious games. In 2010, Remedy teamed up with Mountain Sheep, to create a reimagining of their first title, and bring it to mobile devices in addition to a remastered relaunch on PC. The title was released again in 2011 on mobile devices, and 2012 for PC and Kindle Fire. For fans who have yet to play either version of Death Rally, or want to try the remastered edition, this giveaway is for you! The prize is a copy of the remastered 2011/2012 edition of Death Rally (retail price €9.99) on Steam. For this competition there will be one (1) winner. (Don't worry we'll be offering more prizes in future competitions and giveaways. So if you don't win in this competition, there will be more chances!) The winning entry will be chosen at random by Random.org. The winner will be contacted within one week of the competition finishing. The competition will end Friday 9th September 2016 at 23:59 GMT, so the winner can enjoy the game over the weekend. For this giveaway there is a maximum of one entry per person, but an option of five ways to enter. If you want to be in with a chance of owning the game, get in contact with us and say that you want your name to be entered. Write your entry in the comments section of THIS post or as a Private Message. Send us your entry as a reply to THIS post or as a Direct Message. This competition is not sponsored. The prize was purchased by myself a few months ago. Competition begins on 6th September 2016 at 18:00 GMT and will end on 9th September 2016 at 23:59 GMT. Please note that this is an unofficial competition and is not connected to Remedy, Facebook, Google, Twitter, Steam and Rockstar. There will be 1 (one) winner who will receive a copy of Death Rally (2011/12) on Steam. The game is rated at +12, and to legally enter, you must be able to play the title.